Wesley Jackman. One of Leon’s first students and England representative. 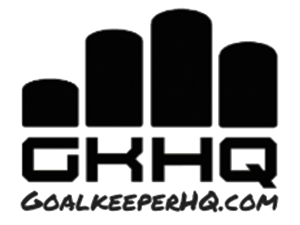 An old coach of mine once told me, “Good goalkeepers make the first save, great goalkeepers, make the second save, but the best keepers don’t have to make a save at all.” His emphasis was on the point that goalies need to talk and need to know how to command the team. If your team is unorganized, then it’s more likely that the opponent will find a gap in the defense and have chances on goal; but if the team is organized, then it will be much harder for the opponent to break your team’s defense. You could be the best goalkeeper in the world, but if you don’t talk, then it’s more likely your team will let the ball through. On the contrary, a keeper without much skill could win his or her team the game via good communication skills. If you can tell players where to be, then you may never even have to touch the ball. But why me? Yes, the coach does have responsibility for the team and is the lead tactician, but it is his job to plan, and the team’s job to carry out his plan. Some coaches are not as vocal as others, and more importantly, nobody sees the field like the goalkeeper does. Yes, the other field players are supposed to communicate, but they can only see what’s in front of them, and many times they don’t talk to one another because they’re tired or have a lack of concentration. The goalie can also see the pattern of the game or play. The right winger may not notice the runner in open space behind him, or the forward may not think to press the left back who is about to play a big ball to that open man. Simple communication can stop instances like this. So, what can I do? Here are a few tips to help you communicate better on the field. Voice inflection: Be louder when the ball is closer to your net and tone it down when it pushes into the opposing team’s attacking third. Being loud is key. You might be giving great instructions, but if the team cannot hear you, it won’t matter. Advice: Advice is key. If your center defender doesn’t step when you want him or her to, tell them. If the defender does not know he is doing something wrong, then he won’t fix it. Also, be sure to point out both the good and bad things your teammates do. Nobody likes being told that he is doing something wrong constantly, especially by a peer. If you point out the good things, it not only lets them know what they did right, but it also makes them feel better, which is very important. If you don’t think you’re playing well, then you won’t play well, and if you think you are, then you more likely will. Pointing out good things also keeps the team on good terms; I have had plenty of games when the coach or other players have constantly pointed out what is wrong, and everyone on the team gets mad at each other, which does not help at all. Having good team chemistry on the pitch is very important for winning games. Talking with the referee: As you all know, talking to the referee can end very badly if tempers are high. However, talking to the officials can be fruitful. It is frustrating to play with a referee who misses calls and gives absurd fouls, but shouting at him will not help. Whenever talking to an official, always do it in a friendly manner; the nicer you are to him, the nicer he will be to you and the team. If an opponent is pulling your shirt on corners, don’t scream at the referee; instead, ask him to watch for that certain player next time. More often than not, he will. And if you don’t say anything to the official, chances are he won’t do anything about it. Step up – Even if only your back line hears this, when they push up, it will force the rest of the team to do so. Drop – Dropping the line is important and should be done whenever you see an opponent looking to play a big ball over the top. Contain – This one is important. On counter attacks, sometimes defenders get jumpy and try to win the ball immediately. If they get beat, however, and there is no one to cover, then it is a one-on-one to the goal. Telling your player to contain lets them know to hold the attacker at bay until the rest of the team can drop back, get shape, and help. Away or clear: Most of you may use this one regularly, but none-the-less it helps. If the ball is in a bad spot and there’s no way out, telling your players to clear the ball can relieve pressure and give the team time to regroup. Right shoulder/ left shoulder: These terms are a quick way to let any individual player know there is an attacker to the right or left of them. Article by Jamie Stratton, Eastern University and GKHQ coach in PA.